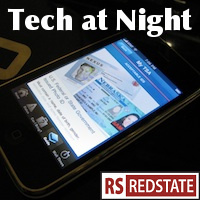 Tech at Night: Google does shameful stuff, but some criticisms are silly. The House must not pass the Senate’s cybersecurity export controls. Regular readers know I’ve been hard on Google for wrongdoings, and think Google got off way too easy for the Safari spy hack, and for the WiSpy situation, but some of these attacks right now are silly. Youtube is a user-generated content service. As such, Google doesn’t produce what’s on there, and can only take things down if they’re breaking the law to be posted. The fact that some grandstanding Attorneys General are trying to bully Google into censoring the service, is the real troubling issue here. This is completely different from the Adsense situation, where it was shown that people at Google were seeing sites for illegal drugs and approving them for ad revenue It’s not even comparable, and people are hoping you don’t realize that. Stop making me defend Google here! Further, if it’s “coercive” for Google to put conditions on the inclusion of Youtube on a television, including a) correctly implementing Internet standards and b) giving it prominent placement, then trademark rights themselves are coercive, people. Again, quit making me defend these guys. Get better complaints. Like advertising services. People are acting outraged that AT&T is going to sell aggregated, anonymized data, but this is the sort of thing Google has been doing for years, and look at all the people still using Gmail. Grenada is looking to censor Twitter and Facebook. Time to invade again? Ed Snowden is not a stateless person, as the traitor is claiming. He’s a fugitive. There’s a difference. Again, Sprint is lucky there was no Sprint to block the Softbank/Sprint deal. With the pressing issues of spectrum shortages, universal access, and unlicensed spectrum looming over our heads, FCC is worried about people who are too lazy and/or stupid to turn their televisions down at night. Let me tell you a story. A man named Daniel Spitler broke into the AT&T website, and automated the process of downloading information about over 100,000 AT&T customers. Andrew Auernheimer took that data and spread it to the world. The two were caught and convicted for these actions. Anarchists now want them set free, as usual. Bah. I love how the supposed champions of privacy want to free hackers who attacked peoples’ privacy. Remember when the US tried to control the flow of cryptography with export controls? It didn’t work, and in fact gave the rest of the world a competitive advantage in cryptography development. Now the Senate wants to do the same with penetration testing. Great. The House must not approve such a provision.